Radwraps are a new alternative to the traditional style wooden radiator covers, and give a more modern look, keep the radiator slimline and come in a multitude of styles, you can even use your own image or photo! So what exactly is a Radwrap? 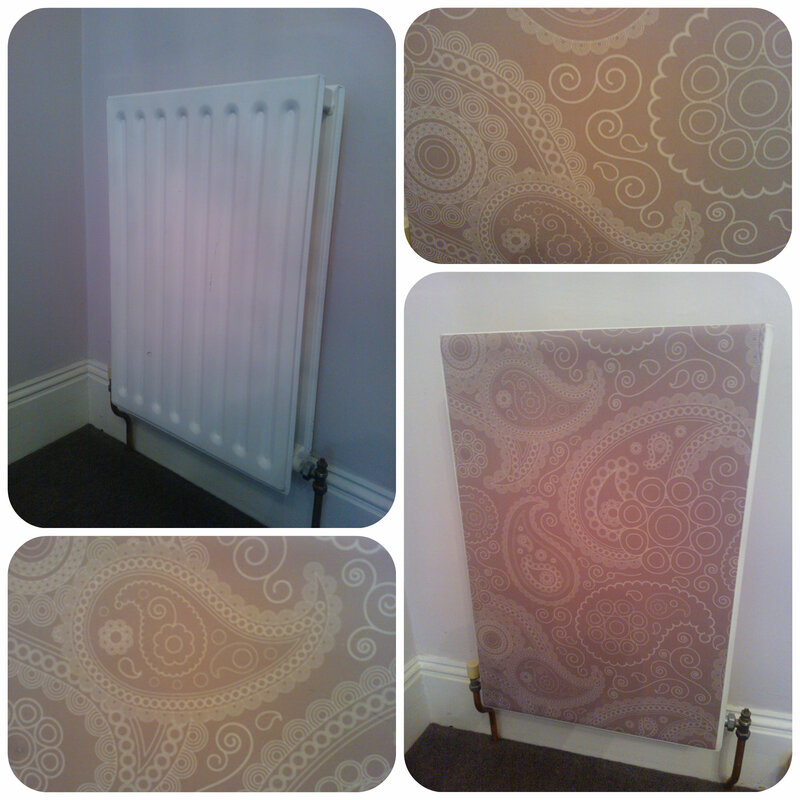 It’s basically a magnetic sheet that’s cut to size to fit your radiator and printed with a design of your choice. 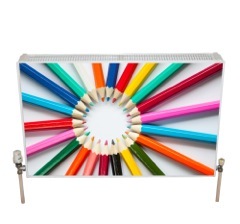 They turn a plain, ordinary radiator into something a bit more decorative that fits in with your interior. 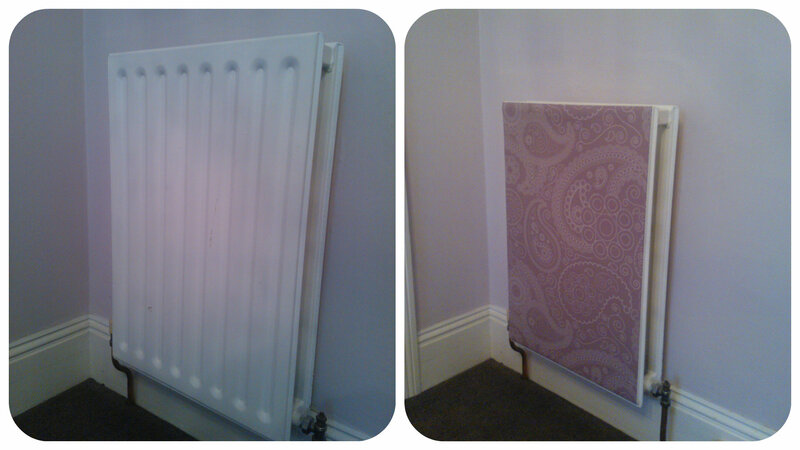 Below on the left is a radiator in my front room, on the right you can see how it is transformed by a Radwrap. 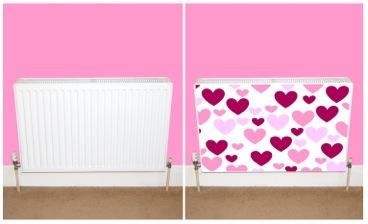 The Radwraps are ordered online through a simple process where you input the height and width measurements of your radiator and then choose a design, or if you fancy you add a design of your own or even use a photo! 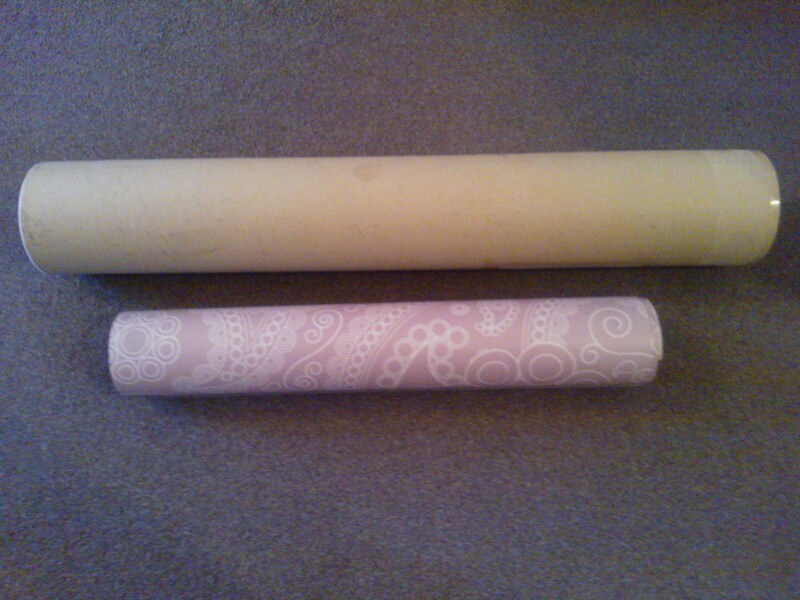 Your chosen cover is then rolled up and sent in a secure cardboard tube ready for you to install. When I first unwrapped it, I did wonder how easy it would be to put on the radiator, would it go on straight?, would it be easy to do myself? Well it took me less than a minute to apply this, I was really impressed with the ease at which is stuck to the radiator, quite firmly but not too much that I couldn’t adjust it if needed. To be honest if you put it on straight across the top, it just falls into place naturally down the radiator, no wrinkles, no creases, no crookedness. So what do I think of my Radwrap? I love it! It is just my kind of pattern, fits perfectly with my decor, and hides that unsightly radiator that had become a little scratched and in need of a respray. I’ve had compliments from visitors, and I would definitely use these again on other radiators. What a great but simple invention! Radwraps say there is no heat loss by having one of these on, they are so easy to apply and require nothing extra to fit with and give your radiator and room a transformation. With the array of different designs to choose from there really is something for everyone. From just £39.99 including delivery why not check these out today to change the look of your interior or cover an unsightly radiator. All reviews are my own and my family’s opinions and we received the Radwrap in order to write the review.